The President of the the Nigerian Society of Engineers, Engr. Otis Anyaeji, FNSE, FAEng, and the executive committee members host to the DG National Power Training Institute of Nigeria (NAPTIN), Engr. 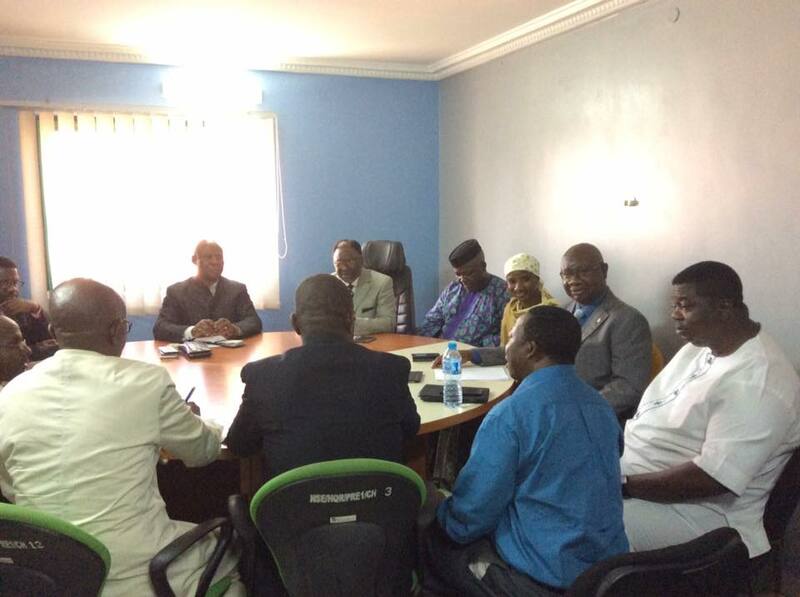 Dr. Reuben Okeke, FNSE, FAEng at the National Engineering Centre, Abuja recently. The Nigerian Society of Engineers warmly welcomes the DG NAPTIN and his entourage to the National Engineering Centre, and the Society looks forward to exploring the boundless possibilities accruable from the NSE-NAPTIN partnership. The Ministry of Power recognizing the need for the massive training requirement, consummated the process of creating an institute solely catering for the power industry not just for NIGERIA but capable of meeting the training needs of the whole West African region. This gave birth to the establishment of the National Power Training Institute of Nigeria (NAPTIN) on March 23rd, 2009. NAPTIN became a REGISTERED legal entity with its incorporation with the Corporate Affairs Commission on 1st September, 2009 which incidentally was the date it officially rolled-out as the official trainer of power sector personnel. This was officially commemorated with a Roll-out Workshop on the same date at the Classic wing of the Abuja Rockview Hotels. One of the cardinal objectives of the Nigerian Electric Power Policy is to have an electric supply industry that can meet the needs of its citizens in the 21st Century. A key aspect of meeting these objectives is human resources development. Therefore, the Nigerian Electric Power Policy clearly stated as one of its strategies that Government shall support the establishment of a national electricity training institute.